What is your vision of a sensory room? A room with a soft mat, bean bags, bubble tubes, fibre optic lighting? Switch everything on when someone wants to use the room? Wouldn’t you like to see a little more thought as to how to control the room’s special lighting, music, and objects so that it can be more immersive? How about a projection of a motorbike on the wall while you feel the vibrations in your cushion? Or a picture of an animal while you hear its name, or its sound? Or even a projection of a beach in a blue-coloured lit environment while you feel a breeze? Well, next-generation sensory rooms are here. The SHX system developed by BJ Live allows all resources and solutions present in the room to act in coordination to create integral stimulation environments. A single control system allows integration of all the interactive and multimedia element of the room. The SHX system supports 2 projections as well as 4 vibroacoustic elements in the room. There is a range of scenes provided by the SHX control software, combinations of videos, images, noise, lighting, vibration or effects that can be customised to the user. The good: The system allows you to control the level of stimulation and the method of interaction to adapt the space for each user. The not so good: Needs time to set up a sensory room installation. The verdict: With a range of scenes provided by the SHX control software, combinations of videos, images, noise, lighting, vibration or effects can be customised for any user child or adult. You may have heard about or seen photos of Enable Irelands fantastic “No Limits” Garden at this year’s Bloom festival. Some of you were probably even lucky enough to have actually visited it in the Phoenix Park over the course of the Bank Holiday weekend. In order to support visitors but also to allow those who didn’t get the chance to go share in some of the experience we put together a “No Limits” Bloom 2017 Grid. If you use the Grid (2 or 3) from Sensory software, or you know someone who does and you would like to learn more about the range of plants used in Enable Ireland’s garden you can download and install it by following the instructions below. How do I install this Grid? A window will open (pictured below). In the bottom corner click on the Online Grids button (you will need to be connected to the Internet). If you do not see the Bloom2017 Grid in the newest section you can either search for it (enter Bloom2017 in the search box at the top right) or look in the Interactive learning or Education Categories. 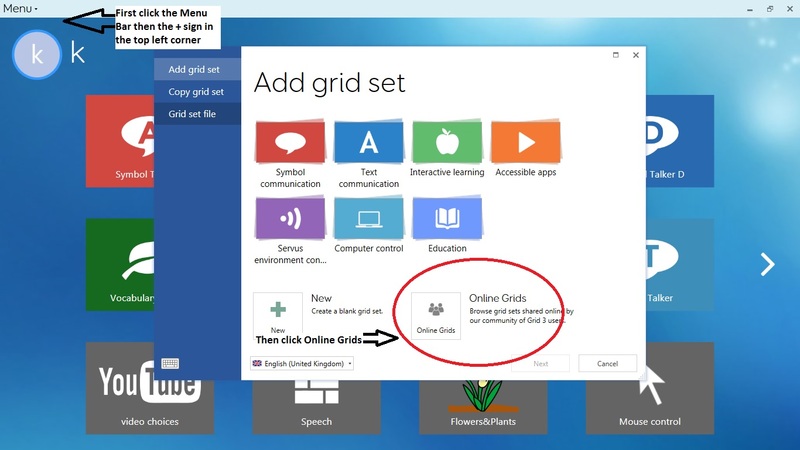 If you are using the Grid 2 or you want to install this Grid on a computer or device that is not connected to the Internet then you can download the Grid set at the link below. You can then add it to the Grid as above except select Grid Set File tab and browse to where you have the Grid Set saved. Download Grid Set at the link below. From Grid Explorer use the Open grid bundle option in the task panel on the left. To use technology effectively it needs to be at an optimal position for our use. Whether it’s a computer display, tablet computer, or even the chair we sit on, the position of items we use is important for ease of use and comfort. For someone with a physical disability this is even more important as their ability to reach, grasp, hold or interact with physical objects may be limited. Mounting can improve the overall view and the ability to manipulate the controls of the device. There is now a range of mounting solutions available from mounting arms to modular mounting kits. We need to consider a range of things when mounting assistive technology, to ensure technology can be used effectively in a range of environments and contexts to meet the lifestyle needs of the user. Some very useful documentation is now available. It is designed for service providers and others who are involved with attaching one piece of assistive technology, such as a communication device to another, such as a wheelchair. It’s designed to help ensure all relevant aspects have been considered to ensure the best solution is reached. 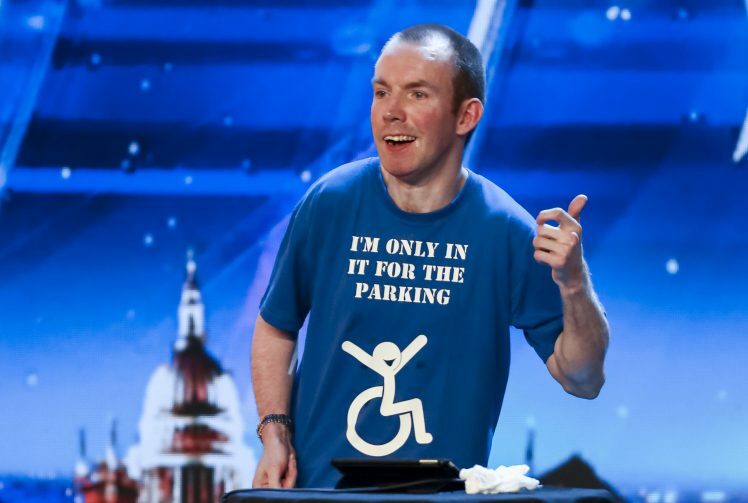 These guidelines are intended to promote and facilitate independence and participation and not as a mechanism to find barriers to the provision of equipment.